In D’Agostino v. Mastercard International, Inc., [2016-1592, 2016-1593] (December 22, 2016), the Federal Circuit vacated the PTAB’s decision in two inter partes reviews that the challenged claims in U.S. Patent Nos. 7,840,486 and 8,036,988 were unpatentable for anticipation and obviousness, because the decisions rested on unreasonable claim constructions. The Federal Circuit the found that the Board either departed from or misapplied the clear meaning when of the claim, whether as a matter of claim construction or as a matter of application to the prior art, when it concluded that the claim covers a situation in which the customer first seeks a transaction code for an identified “chain of stores” and, later, picks a specific store within that chain. The Federal Circuit found that this was contrary to the requirement that at the time the transaction code is requested, the request does not identify the merchant. The only way the Board could be correct was if “single merchant” and “particular merchant” had different meanings, which under the circumstance was not correct. In U.S. Water Services, Inc., v. Novozymes A/S, [2015-1950, 2015-1967] (December 15, 2016), the Federal Circuit vacated summary judgment of anticipation, and affirmed the denial of summary judgment of no inequitable conduct. The patents relate to methods of reducing fouling in fermentation equipment through the use of phytase. The district court found the claims inherently anticipated. The Federal Circuit cautioned that inherency may not be established by probabilities or possibilities, and said that the mere fact that a certain thing may result from a given set of circumstances is not sufficient. The inherent result must inevitably result from the disclosed steps. While the prior art disclosed the use of phytase in fermentation, the Federal Circuit found that the district court erred in finding no genuine dispute of material fact as to whether the patents-in-suit were inherently anticipated because the prior art discloses the conditions that will necessarily result in phytase reducing deposits. In particular the district court erred in deeming irrelevant evidence that practicing the prior art will not always result in deposit reduction. The Federal Circuit found a genuine dispute as to a material fact remained and that, consequently, the district court improperly granted summary judgment on inherent anticipation. or omissions material to patentability, that he did sowith the specific intent to mislead or deceive the USPTO, and that deceptive intent was the single most reasonable inference to be drawn from the evidence. The Federal Circuit found no genuine dispute about this material fact. The Federal Circuit found that the record contains no suggestion that, but-for the disclosures the examiner would not have issued the patents-in-suit. In United Construction Products, Inc., v. Tile Tech, Inc., [2016-1392] (December 15, 2016), the Federal Circuit affirmed default judgment against Tile Tech on claims of patent infringement and unfair competition because of its counsel near complete failure to provide discovery. defense counsel perhaps handled the case unreasonably, this [c]ourt does not attribute that to bad faith, but instead a complete lack of preparation.” However, the Federal Circuit said that willfulness and bad faith were not the only justifications for entering default, which also include “fault.” While Tile Tech has argued that its trial attorney had “unfamiliarity” with federal court practice, it has not offered any evidence to suggest that its dilatory actions were outside of its attorney’s control. In Power Integrations, Inc., v. Fairchild Semiconductor International, Inc, [2015-1329, 2015-1388] (December 12, 2016), a complicated action where each party claimed the other directly and indirectly infringed its patents, the Federal Circuit: affirmed the jury’s verdict that the asserted claims of the ’876 patent were not anticipated; vacated the jury’s verdict that Fairchild induced infringement of the asserted claims of the ’876 and ’851 patents; reversed the jury’s verdict that the asserted claims of the ’605 patent were not anticipated; and affirmed the district court’s construction of the ’972 patent. complete judgment should be rendered by the court. The Federal Circuit agreed with Power Integrations that a finding of infringement under the doctrine of equivalents would vitiate the requirement that the claimed feedback signals be “distinct.” The Federal Circuit explained that the inventor of the ’972 patent detailed at trial the difficulty in designing a power supply with accurate primary-side control and the breakthrough he achieved by adding a second feedback signal specifically related to output current. The inventor went on to testify that having a second feedback signal—related to current—that is distinct from the first feedback signal—related to voltage—is what distinguished the claimed invention from the prior art. Under these circumstances, allowing the doctrine of equivalents to read out the claim requirement for a second feedback signal in order to cover a system with a single feedback signal would impermissibly vitiate the claim element. In Power Integrations, Inc., v. Fairchild Semiconductor International, Inc., [2015-1329, 2015-1388] (December 12, 2016), a complicated action where each party claimed the other directly and indirectly infringed its patents, the Federal Circuit affirmed the jury’s verdict that the asserted claims of the ’876 patent were not anticipated; vacated the jury’s verdict that Fairchild induced infringement of the asserted claims of the ’876 and ’851 patents; reversed the jury’s verdict that the asserted claims of the ’605 patent were not anticipated; and affirmed the district court’s construction of the ’972 patent. Each party alleges that the other is liable for infringement by actively inducing others to directly infringe the patents in suit. The direct infringement may either be literal or under the doctrine of equivalents. A party induces patent infringement if it purposefully causes, urges, or encourages another to use a product in a manner that infringes an asserted claim. Inducing infringement cannot occur unintentionally. use by others of the party’s product infringes one or more of the asserted claims of the patent. In order to establish active inducement of infringement, it is not sufficient that others directly infringe the claim. Nor is it sufficient that the party accused of infringement was aware of the acts by others that directly infringe. Rather, in order to find inducement, you must find that the party accused of infringement intended others to use its products in at least some ways that would infringe the asserted claims of the patent. However, that infringement need not have been actually caused by the party’s actions. All that is required is that the party took steps to encourage or assist that infringement, regardless of whether that encouragement succeeded, or was even received. Intent to encourage or assist the acts that constitute direct infringement must be proven by evidence of active steps taken to encourage direct infringement, such as providing products, advertising any infringing use, or instructing how to engage in any use that is infringing. Proof of intent to induce infringement may be based on circumstantial evidence, rather than direct evidence. The Federal Circuit said that this instruction left the jury with the incorrect understanding that a party may be liable for induced infringement even where it does not successfully communicate with and induce a third-party direct infringer. The Federal Circuit said that the Supreme Court in Global-Tech Appliances explained that the term “induce” as it is used in § 271(b) “means ‘[t]o lean on; to influence; to prevail on; to move by persuasion.” Each definition requires successful communication between the alleged inducer and the third-party direct infringer. The Federal Circuit noted that in Dynacore Holdings it held that “[t]o prevail under a theory of indirect infringement, [plaintiff] must first prove that the defendants’ actions led to direct infringement of the [patent-in-suit].” And that in DSU Med. Corp. it held that the plaintiff has the burden of showing that the alleged infringer’s actions induced infringing acts, The Federal Circuit concluded that under this precedent, a finding of induced infringement requires actual inducement, although this inducement may be proven via circumstantial evidence. In other words, liability for inducement requires proof that (1) a third party directly infringed the asserted claims of the patent; (2) the defendant induced those infringing acts; and (3) defendant knew the acts it induced constituted infringement. In re Nuvasive, Inc., [2015-1670] (December 7, 2016), the Federal Circuit vacated and remanded the PTAB Decision finding claims of U.S. Patent No. 8,361,156 invalid for obviousness. The Federal Circuit found that Nuvasive waived its argument that asserted references weren’t sufficiently public to qualify as printed publications. However, the on issue of obviousness, the Federal Circuit Federal Circuit sided with Nuvasive. 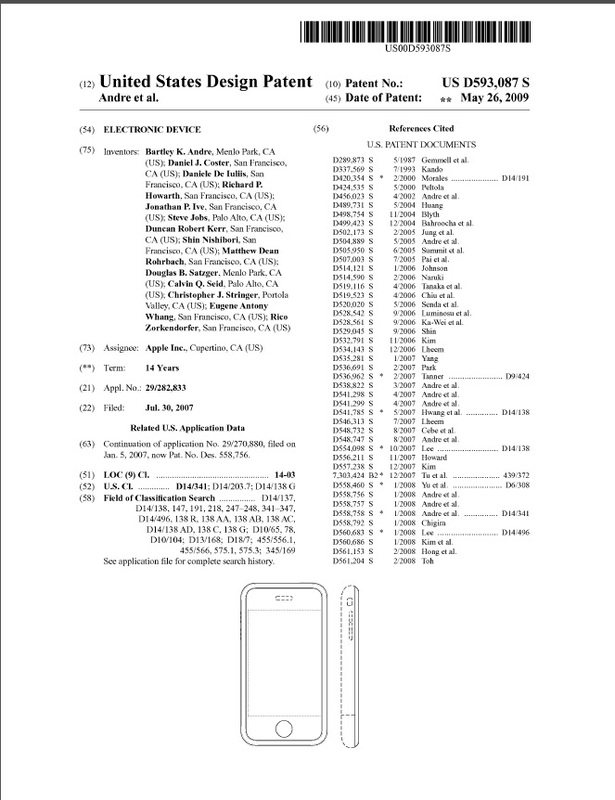 whether a PHOSITA would have been motivated to combine the prior art to achieve the claimed invention.” The Federal Circuit said that the factual inquiry whether to combine references must be “thorough and searching,” and that the need for specificity pervades its authority on the PTAB’s findings on motivation to combine. findings.” . . . Second, the PTAB “must examine the relevant data and articulate a satisfactory explanation for its action including a rational connection between the facts found and the choice made.” The Federal Circuit said that the PTAB must provide “a reasoned basis for the agency’s action,” and it will uphold a decision of less than ideal clarity if the agency’s path may reasonably be discerned. summarize and reject arguments without explaining why the PTAB accepts the prevailing argument. Third although reliance on common sense may be appropriate in some circumstances, the PTAB cannot rely solely on common knowledge or common sense to support its findings. Turning to the decision before it, the Federal Circuit said that the PTAB failed to explain the reason why a PHOSITA would have been motivated to modify the prior art. While the PTAB rejected Nuvasive’s arguments that the invention was not obvious, the PTAB never actually made an explanation-supported finding that the evidence affirmatively proved that the PHOSITA would modify the prior art as proposed by petitioner. vacated and the case remanded for additional PTAB findings and explanations regarding the PHOSITA’s motivation to combine the prior art references. invalidity, and damages, but remanded as to the injunction insofar as it covered conduct of Cooler Master (who was not a party) that goes beyond abetting a new violation by CMI. The district court granted the prevailing patent owner’s motion for an injunction against both CMI and Cooler Master, even though Cooler Master had dismissed as a party. Cooler Master appealed the injunction, and rejoined as a party. Cooler Master argued that its dismissal with prejudice precluded the district court from subjecting Cooler Master to the injunction’s obligations, and that in any event the injunction is too broad in scope insofar as the injunction reaches Cooler Master’s conduct (sale, importation, etc., involving the products other than conduct that abets a new violation by CMI, the only party adjudicated liable for infringement. Master were improper for reasons it could invoke if they were imposed through contempt. The Federal Circuit rejected Cooler Master’s contention that it could not be enjoined because the dismissal with prejudice was an adjudication that has claim-preclusive effect. While the premise was correct, the “claim” covered by the dismissal, which concerned Cooler Master’s pre-dismissal conduct, which was different from the conduct subject to the injunction, which is Cooler Master’s future conduct. on Cooler Master—it restricts conduct by Cooler Master that abets a new violation by CMI; but it also restricts conduct by Cooler Master that does not abet a new violation by CMI. The Federal Circuit found that there is a there is a current live dispute about the permissibility of barring Cooler Master from engaging in U.S.-focused activities involving the infringing products other than through CMI. The Federal Circuit did not think it advisable to resolve the issue of the proper scope of the injunction without a fuller picture of the facts described by the district court, so it remanded the case for further development of the record, while leaving the injunction intact. 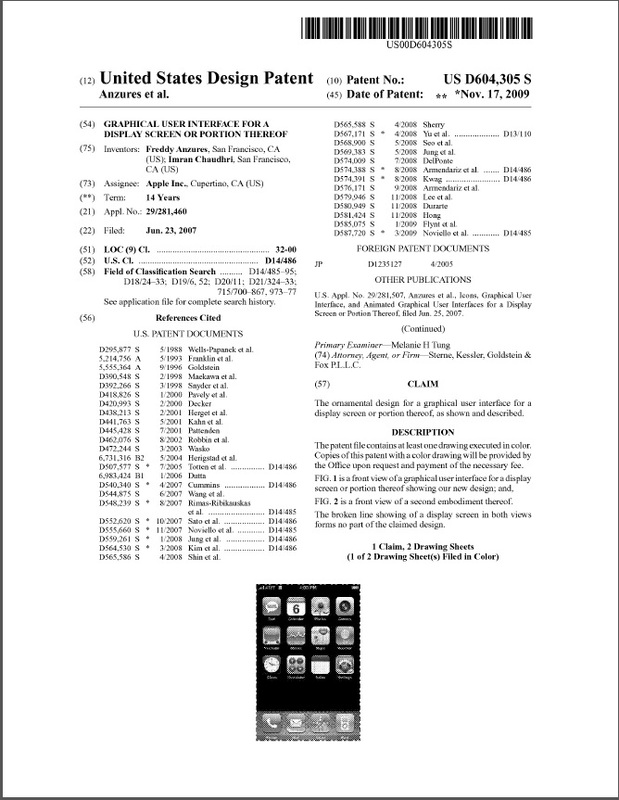 In Samsung Electronics Co., Ltd. v. Apple Inc., 580 U.S. ____ (2016), the Supreme Court reversed the award of $399,000,000 for infringement of Apple’s design patents covering the iPhone (U.S. Patent Nos. D618677, D593087, and D604305). Whoever during the term of a patent for a design, without license of the owner, (1) applies the patented design, or any colorable imitation thereof, to any article of manufacture for the purpose of sale, or (2) sells or exposes for sale any article of manufacture to which such design or colorable imitation has been applied shall be liable to the owner to the extent of his total profit, but not less than $250, recoverable in any United States district court having jurisdiction of the parties. The Court of Appeals for the Federal Circuit identified the entire Samsung phone as the “article of manufacture” for purposes of calculating §289 damages because consumers could not separately purchase components of the smart phone. The Supreme Court, after looking up article of manufacture in the dictionary, concluded that an article of manufacture is broad enough to encompass both a product sold to a consumer, as well as a component of that product. 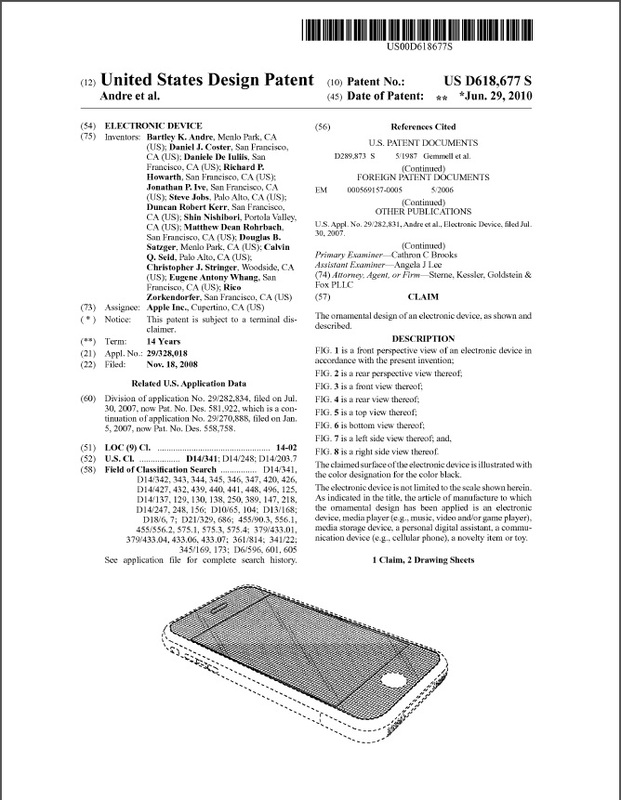 Finding that the Federal Circuit’s narrower reading of article of manufacture cannot be squared with the text of §289, the Supreme Court reversed the award, and remanded for determination of whether the relevant article of manufacture is the smartphone, or a particular component of the smartphone. How these patents are treated on remand will be instructive on how design patents should be drafted going forward. There may be an advantage in drafting the application so that the “article of manufacture” is a comprehensive (and profitable) as possible. The Federal Circuit’s docket is burgeoning with Patent Office appeals. Three years ago there were 118 appeals from the USPTO pending before the Federal Circuit, today there are 578. The bulk of this increase is due to appeals from the post grant procedures created by the AIA. According to a recent post on the AIPLA website the Federal Circuit has decided 128 appeals of IPRs and CBMRs. 7 (5%) of these were dismissed, 101 (79%) of these were complete affirmances. In only 20 (21%) of these did the Federal Circuit reverse any aspect of the Board’s decision.